Today, fifty years after its founding, the Panthers should be remembered for more than their black berets and shotguns. Despite their flaws, they melded the immediate and the transformative into a potent political vision, advocating a multiracial alliance against racism, capitalism, and imperialism that delivered tangible gains to the most exploited. That vision is equally as stirring today. Last week I watched The Look of Silence, a documentary film by Joshua Oppenheimer and a companion piece to his 2012 work The Act of Killing. Both films explore how the Indonesian military killed a million people – suspected communists and subversives – over the course of 1965-66 after it overthrew the government. The films bring this hidden history to life through the voices of both victim and perpetrator. In this recent work, a family of survivors discovers how their son Ramli was murdered, as well as the identities of the killers, nearly half a century after the event unfolded. The documentary focuses on the youngest son, an optometrist named Adi, who decides to break the suffocating spell of submission and terror by doing something unimaginable in a society where the murderers remain in power: he confronts the men who killed his brother and, while testing their eyesight, asks them to accept responsibility for their actions. This film initiates and bears witness to the collapse of fifty years of silence. Nicaragua has so far been a beautiful experience. The Project HOPE team (which I’m co-leading) has worked for over 6 months to get to this point. Although we spent most of our first day traveling – more accurately, sitting in an airport – from Edmonton to the capital, Managua. Transitioning from an air conditioned airport to the humidity and heat of Central America in May was no small feat. I was sweating buckets, but it was mainly my fault: I was wearing jeans, hiking shoes, carrying a 49.9 pound pack on my back, and a second smaller pack on my front! To learn more of the history of Nicaragua, the team went on a bus tour of Managua. We visited the city lookout point, the city square (included a closed cathedral; closed due to repeated earthquake damage) and the port named after Salvador Allende. The team was put outside their comfort zone, somewhat, as they had to navigate the nuances of interacting with street merchants, some of whom were children. Throughout the day, we saw many references to the Revolution of 1979. 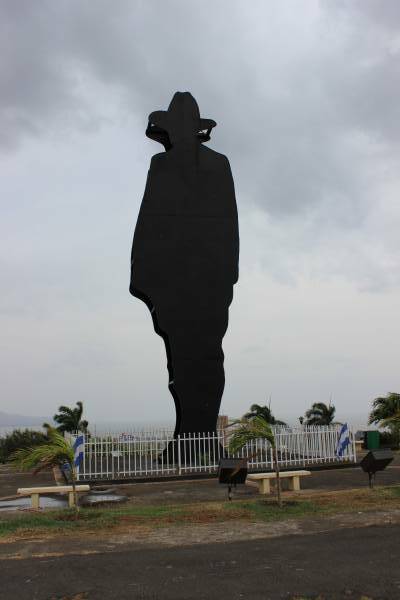 And many examples of how the country celebrates their national heroes; people like Augusto Sandino. The most exciting part of this first day (for me) was meeting Tanya, our in-country coordinator. Her and I got to share stories from growing up in rural communities; she told me about her studies in the USA; and her large family of 9 siblings, with 2 currently in university – one studying journalism and the other nursing. 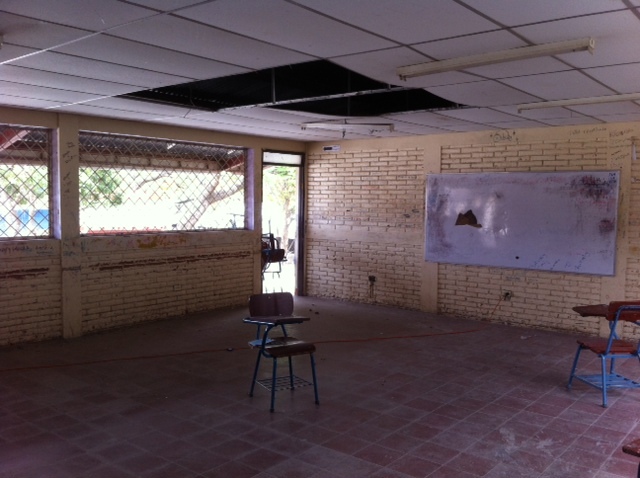 Our time in Managua would be unfortunately cut short, as we had to start moving north and start working. 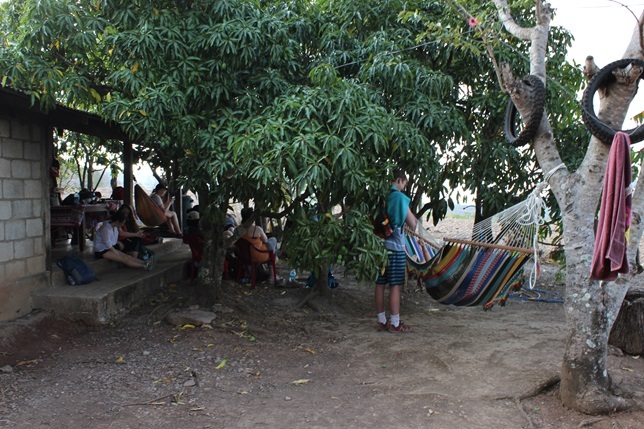 On our second day, we drove to Esteli – our base for the month – settling into our hostel and getting to meet our partner organization: FUNARTE. This land is filled with amazing and generous people. We were greeted at Hostal Tomabu by the owners – Elena and Poncho – and showed to our assortment of single, double, and triple rooms. At this point, the team was running low on energy due to countless hours of sitting in transport. On the third day, we were lucky to be invited to FUNARTE’s weekend workshop with the children of the Oscar Ramero community. Team members painted with youth of all ages and got to see, first hand, the power of adding color to canvas. I find the work of FUNARTE to be inspiting. Not only have they working continuously since the revolution (so, 35 years long), but they are able to inspire children to become story tellers and community artists. I should mention at this point that Esteli is internationally known as the City of Murals. 35 years of murals adds up to a lot of murals. When walking on the street you are hard pressed to find a wall without a mural or a story. 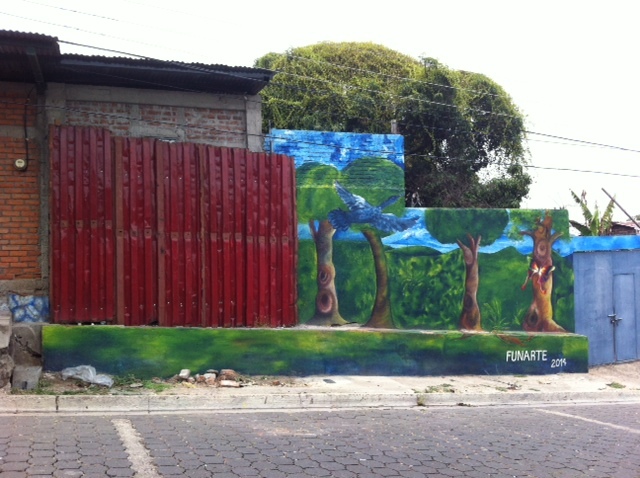 Rafa and Karen (our translator) from FUNARTE were able to give us a history lesson on a a few murals. Some were new creations and some were reproductions of ones done decades before. They speak to peace, environmental awareness, and equal rights. I am looking forward to taking in all the stories and artwork I can. 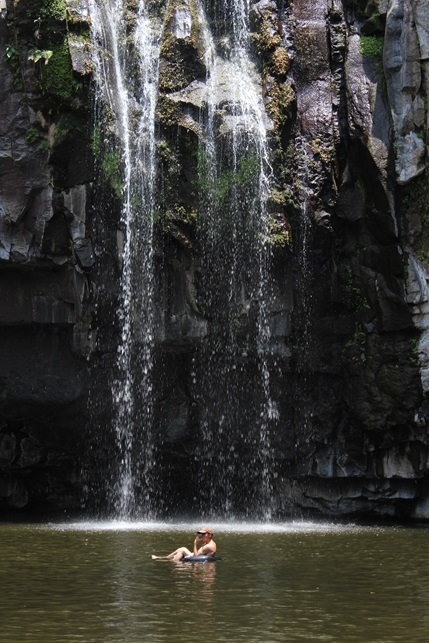 As the weekend was upon us, our team set out for a “fun” activity – a walk to waterfall. You could call it a walk, but that wouldn’t be entirely true. It was more of a endurance test of the mind and spirit. We began our trek at 9:30 am through the common sights of outdoor shops and narrow streets. We even passed the traveling circus. And them came the unpaved road. It winded up and down, left and right, with no clear indication of ending. People were sweating and people were getting tanned. But, in the end, we made it to our destination. And what a destination it was. Everyone got to go for a swim. You could even go through the falling water to take a break on a quickly cramped set of rocks. Later in the day, we found out that we were the first Project HOPE team to make this hike – everyone else just took a bus or set of taxis. Who knew! The day was only half over as we had to get back into hiking mode and walk to Tanya’s family home, where we’d be eating lunch. It was a lovely traditional meal, with chicken soup and fresh tortillas. We were escorted around the family property, which featured coffee trees, an area that is rented to tourists, and a very large, very sociable pig. All of this travel, planning, and fundraising was meant for one thing – the project. Our group of 11 MacEwan University students will be working in partnership with FUNARTE to bring the high school students of the Rosario Hospital community three things: repairs to six classrooms, a newly built multipurpose room to allow teachers to plan and psychologists to counsel, and the interaction with us. We will bring our own stories and hopefully take back with us, some of theirs.